Enjoy our high level transfer services to/from Athens Gate Hotel and we promise you the best transport prices without waiting at airport, port, station and without hidden debits. Enjoy our high level transfer services to/from Athens Gate Hotel and all over Greece and we promise you the best transfer prices without waiting at airport, port, station and without hidden debits. Athens Gate Hotel is located in the historic district of Athens, directly opposite the Temple of Olympian Zeus and the Gate which was constructed by the Athenians to welcome the Roman emperor Adrianos (Hadrian).With very easy access, the hotel is located 500 meters from the Acropolis and 100 meters from the New Acropolis Museum and the National Museum of Contemporary Art. Constitution Square (Syntagma), and the commercial center of Athens are also only 500 meters away. 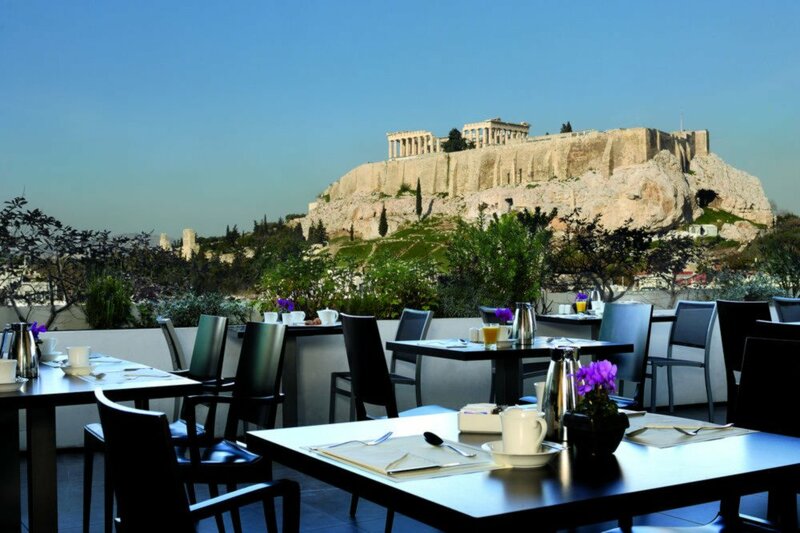 The view of the city from the hotel’s Roof Top is possibly the best in the whole of Athens.On the right side of the Hotel, a sculpture by Nikos Alexiou (who represented Greece in 2007 at the Venice Biennale),symbolizes the hotel’s unique and modern character. The sculpture which is 18,5 X 4,5 meters portrays a woman’s veil and is named “Peplo tis Amalias (Amalia’s Veil). 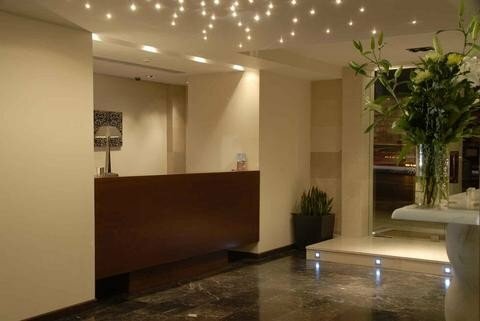 Offers low Cost Athens Airport Transfers Services to/from Athens Gate Hotel transportation with (shuttle, minibus, van, taxi, cab, minivan, limousine and coaches).